Publisher: Rajkamal Prakashan (P) Ltd. The Title "दिलो-दानिश " is written by कृष्णा सोबती. This book was published in the year 2010. The ISBN number 8126712015|9788126712014 is assigned to the Paperback version of this title. This book has total of pp. 234 (Pages). 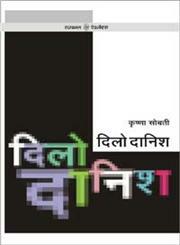 The publisher of this title is Rajkamal Prakashan (P) Ltd.. दिलो-दानिश is currently Available with us.